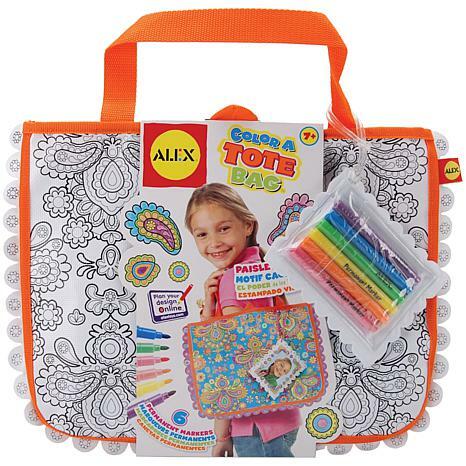 ALEX TOYS-Color A Tote Bag. The perfect rainy-day project! 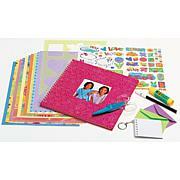 Color this tote with the six included bright permanent markers (purple, blue, green, orange, yellow and pink). Features: hot pink and orange cotton/poly canvas tote, design is pre-printed in black on the front only on vinyl canvas, a marker case/wallet features a pre-printed design to color and a photo frame, over-all measures: 10-1/2x13x3/4in. Conforms to ASTM D4236 and F963. 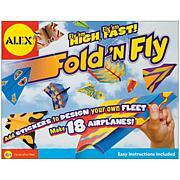 Recommended for ages 7 and up. WARNING: Choking Hazard: small parts. Not for children under 3 years. Imported. 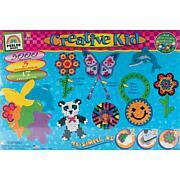 EK SUCCESS-Paper Shapers Mickey Icon medium punch is great for any paper craft, scrapbook, kid's project, gift card and invitation. 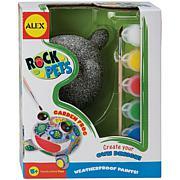 Great detail effects, ease of punching and large thumb print lever. Punch is red. Approximate size of Mickey head is 1x1.